A new framing system, which makes attaching full color vinyl media simple, safe and cost-effective. Works with any flexible media. 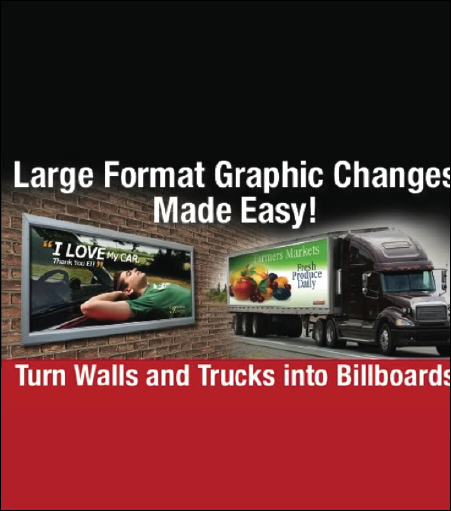 This system can easily installed to transform nearly any location or delivery truck into a billboard.